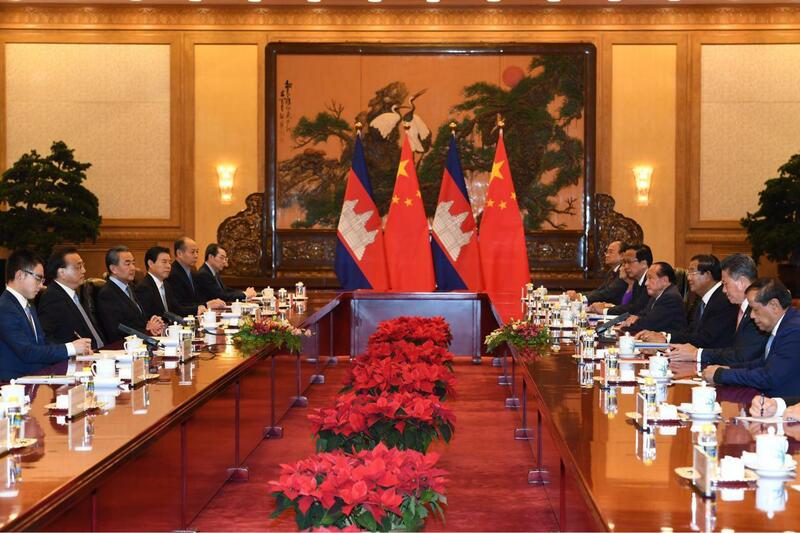 Beijing, China (FN), Jan. 23 – Chinese Premier Li Keqiang stated that Cambodia’s Prime Minister Hun Sen is the first Head of Royal Government to pay official visit to China in 2019, speaking at the courtesy call on Tuesday at the China’s Great Hall of the People, a state building located at the western edge of Tiananmen Square in Beijing. 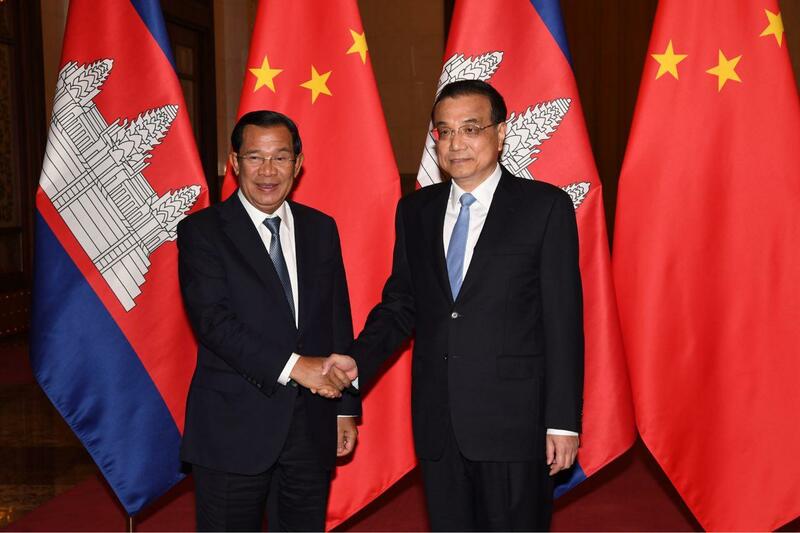 “During the Chinese New Year, we do not usually welcome foreign friend; however, this is the official visit of our old friend [Prime Minister Hun Sen], a good friend of China,” said Premier Li. 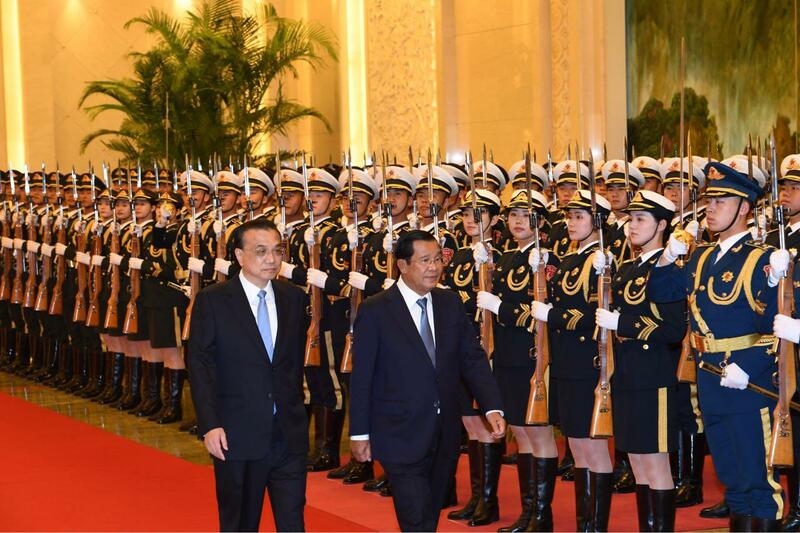 A warm hospitality with the red carpet accompanied by honorary troops, Premier Li also expressed his congratulations to Samdech Techo and the Cambodian People's Party for the landslide victory of the general election in July, and the reappointment of Samdech Techo as the Prime Minister of Cambodia in the sixth mandate. 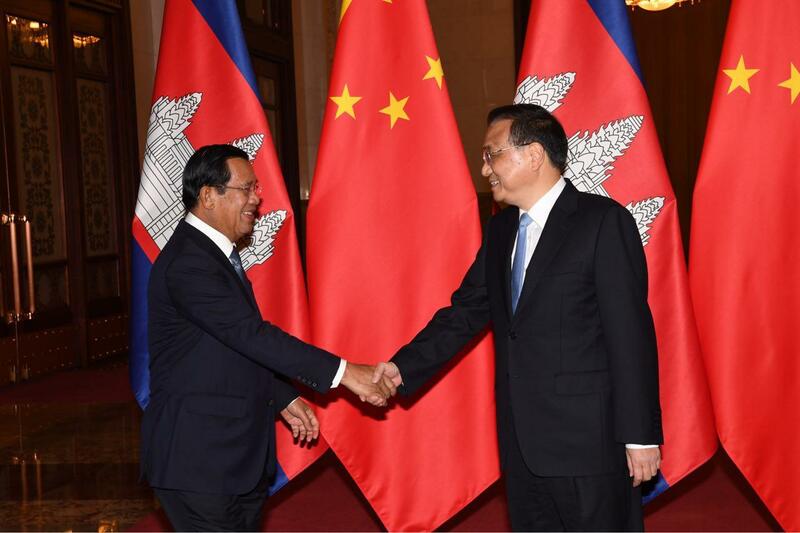 Prime Minister Hun Sen, in return, congratulated China on the 40th anniversary of the reform and opening of the People's Republic of China, which transformed China to the world’s second largest economic superpower; and congratulated on the 70th anniversary of the founding of the People's Republic of China.